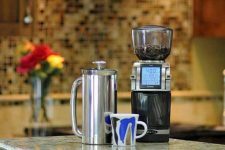 Want a solid burr based mid-level coffee and espresso grinder that grinds fast, fits easily on your countertop, and is well priced? 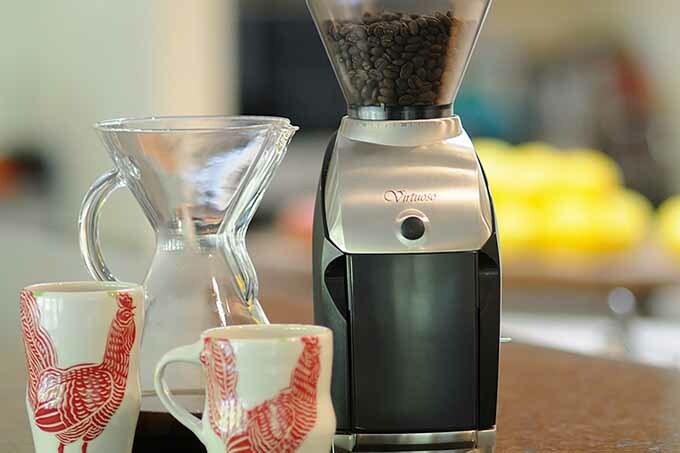 If so, the Baratza Virtuoso Coffee Grinder may be for you! 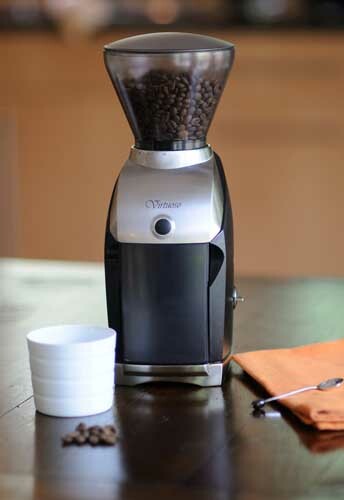 The Baratza Virtuoso Coffee Grinder is nice step up from Baratza’s entry level Encore model. 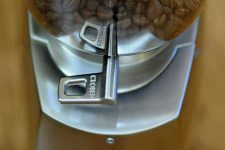 A 6 Amp motor with gear reduction reduces a grind for a double shot from the Encore’s 22 seconds to a very respectable 12 seconds; nearly a 100% faster grind time making it perfect to serve multiple espresso and latte drinkers or to grind a big batch for a pot of coffee. 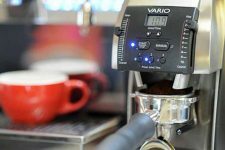 The Virtuoso features an easily adjustable grind and 40 settings from a coarse grind required for vacuum presses to very fine for use in espresso machines. Like the Encore, the Virtuoso has an exceptional second generation gear box with strengthened components. 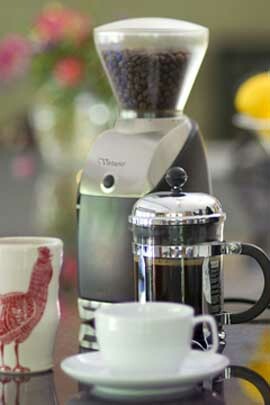 Unlike the Encore, the Virtuoso has a timer option allowing for consistent grind amounts every time it is used. Commercial quality, Italian made, conical 40mm burrs are also an improvement over its cheaper sibling which allows for an increased operational life before burr replacement is required. 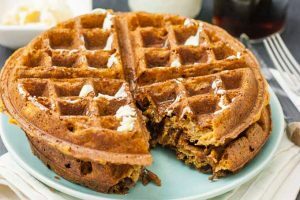 At just 14” tall, this home coffee grinder can also easily fit under most kitchen cabinets and is smaller in scale than many professional grade burr grinders making is less conspicuous in your kitchen. 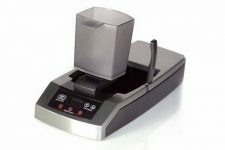 Moreover, this grinder is very easy to operate and is easy to calibrate. 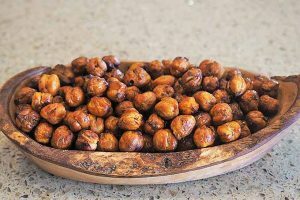 This machine is recommended for home use. Unlike the Encore, the Virtuoso features an upscale nickel-plated satin finished metal top and base that strengthens the body, greatly increases its eye appeal, and contributes to noise reduction. Improvements from the first generation gearbox include significantly increased strength and durability of the drive transmission. As opposed to the Encore, the Virtuoso is equipped with a timer dial that allows for a consistent grind volume during every use! 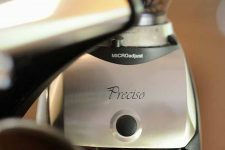 The Virtuoso also features a pulse button allowing you to grind directly into a portafilter for espresso machines. 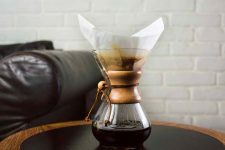 Even if you brew only drip coffee now you may move up to an espresso machine in the future and this feature is incredibly useful. 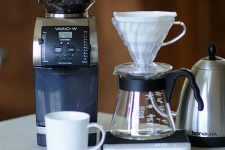 The Virtuoso includes a large 8 oz bean hopper, a removable 5 oz anti-static ground coffee bin, and is compatible with the Baratza Bean Hopper extension for added bean capacity and the optional Baratza Esatto accessory allowing weight based grinding operation. The anti-static feature minimizes dust from the ground coffee. 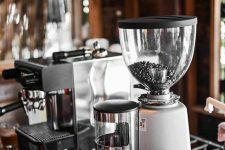 The Virtuoso’s 40mm grinding burrs are made from the same material and durability as those of commercial coffee grinders. 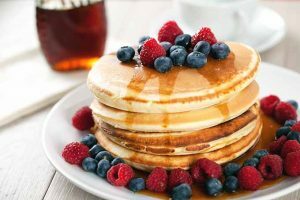 The ring burr is supported at three points and provides a stable platform with reduced vibration contributing to accurate grinding. A powerful high-torque, low RPM, six amp motor powers the Virtuoso and coupled with gear reduction, allows the operator to nearly double the output to that of the Encore model while maintain low grind temperatures. These improvements also allow the Virtuoso to operate relatively quietly compared to that of its peers. 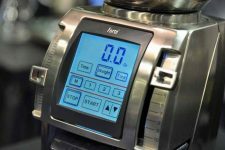 The Baratza Virtuoso was designed with ease of use for the operator in mind and features a simple calibration system similar to that of commercial grinders that eliminate grind variation. 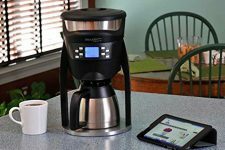 Over 40 settings of grind are available allowing you to dial in the grind for the particular variety of coffee beans, roast level and intended brew method. 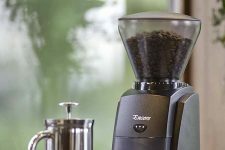 Coffee and Espresso enthusiasts looking for a budget level burr coffee grinder but who want a significant step up from entry level models should look no further than the Baratza Encore Grinder. 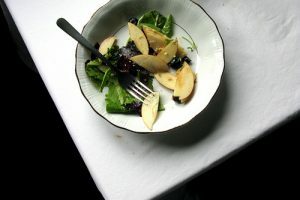 At this price point, there is no other grinder featuring the adjustability and power of this machine. 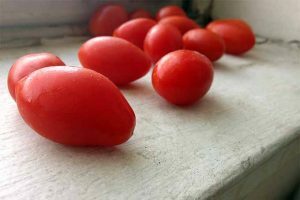 It is capable of a coarse to fine ground and does it much quicker then entry level burr grinders for just a little extra cost. 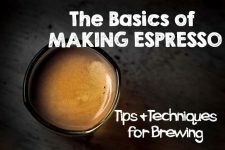 Want to know more about coffee and espresso grinders in general? 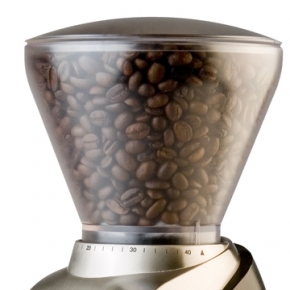 Read Foodal’s tips for buying a great coffee grinder or check out all of our reviews.